Committed to Our LGBTQ+ Community for Over 30 Years! - Are you questioning what your feelings mean or how to move forward? - Do you feel like you need to talk with someone who understands your unique needs? - Do you feel stuck & unsure what to do to make things better for yourself, your child, your relationship and/or your family? - Are you feeling alone & disconnected & finding your most important relationships difficult? - As a psychotherapist, and counselor I work to create a safe, open & nurturing psychotherapy space where people feel accepted & understood. - I work to help people get unstuck, feel less stressed and overwhelmed and get their lives back on track. - I offer individual, teen, couples & family therapy. - I listen so you feel understood and so you don't feel alone in whatever you are going through. - I care about making people's lives better. Call me to schedule your appointment. 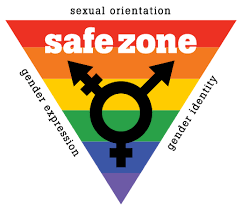 A safe place for all genders to be & explore who they are. Helping kids, adults, families & couples along the gender continuum, including those who are transgender & non-binary. Help for separating or separated parents to navigate this new relationship & conflict. Practical approaches to co-parenting & conflict. More than just affirming. Over 25 years, caring for the LGBTQ+ community, including gender & sexual orientation counseling for adults, teens, families & couples. Help with coming out, relationships, discrimination, & just being able to be who you are. Relationship counseling, couples therapy, marriage counseling, & family therapy. Helping make the relationships that matter to you work again. Helping with relationship bonds, communication & passion. All sexualities, genders & relationship types welcome. Over 25 years helping with teen problems, as well as parenting support & family counseling. Here to help kids & siblings & families reconnect, communicate & be their best. I believe that life is a process of ongoing change and growth, and that we are all essentially “a work in progress”. I am a psychotherapist and Licensed Clinical Social Worker (LCSW) offering counseling and psychotherapy who is committed to helping people in their unique journey; helping each individual, couple or family explore and discover the best path for them. As a counselor and psychotherapist I know that being truly heard and valued is vital to healing and growth, and therefore I see your wisdom about yourself and your family as the key to therapy being a meaningful and beneficial process.